Below are some frequently asked questions. If you do not find the answer you are looking for, please do not hesitate to contact us via our contact form or on Twitter. How to create a comparison table ? How can I change my profile image / Avatar ? If you created your account using an email. 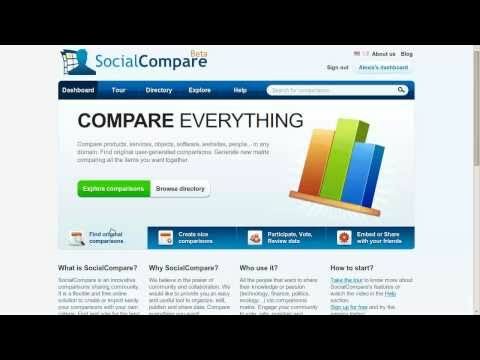 SocialCompare use Gravatar service. You need to create an account with the same email to customize your profile image. If you created your account using Facebook, it will automatically use your Facebook profile image and will change when you change your Facebook profile. 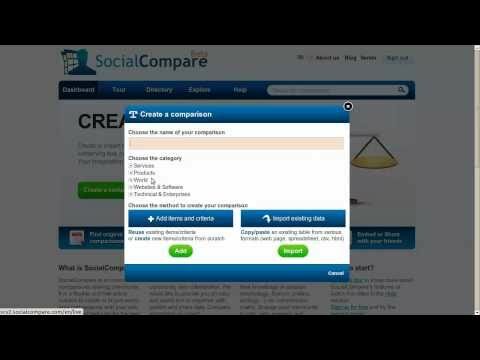 Is it possible to embed the comparison table on my blog post or website ? Yes you can click on "embed" on top of the comparison, and copy/paste the adequate html code to integrate the table into your blog or website. 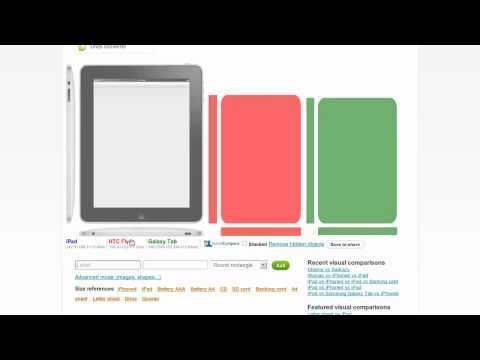 You will be able to choose among several styles to better fit your website style. If you would like to customize even more the style of the table check out this blog post. Is it possible to share the comparison ? Click on the small icons below the title to share the comparison on facebook, Twitter or Google+. Can I import new data into an existing matrix table ? Yes if you have the access rights to edit the table, you will be able to add manually one by one criteria and items; or by importing a new set of data. A merge will be done with existing data, trying to figure out the matches. What kind of data can I import ? Tab, ';' (CSV format) or '|' separated text are recognized by the import function. You can also provide HTML code, the tool will extract the matrix by looking for the <table> tag. Is it possible to upload an image or a video ? It's now possible to upload an image on our servers. During an image criteria edition, clic on "Upload an image". The image will be resized with the possibility to view the original size if it's bigger. For the videos you must use a video sharing website like Youtube or Dailymotion. By using a video criteria, the URL will be automatically transformed as a preview image with the possibility to play the video (by clicking on it). What are the available criteria types ? What are the publishing modes ?